Application for a day off – contains a request for additional weekend on account of regular annual paid leave or on leave without receiving pay. 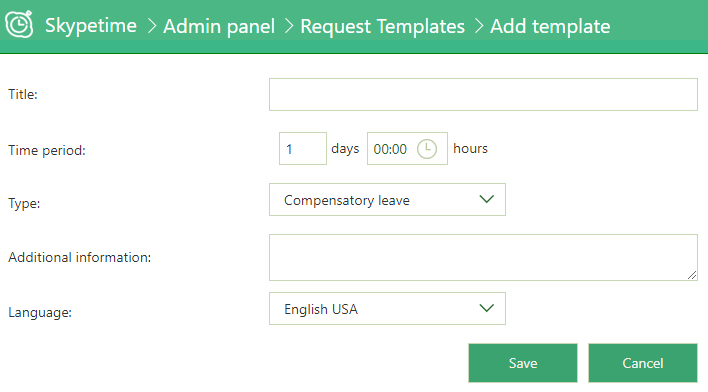 You can also create a custom application template by clicking “Add Template” button. Fill in the required fields and click “Save”. 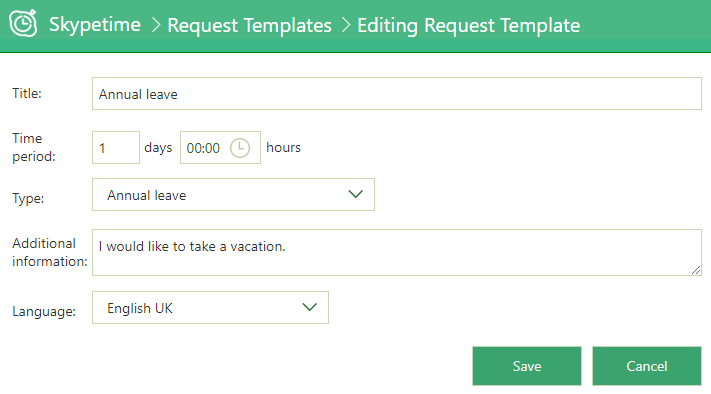 To edit the created application template, click on its title in the list of all templates. In the window that opens, make the necessary edits and click the “Save” button.